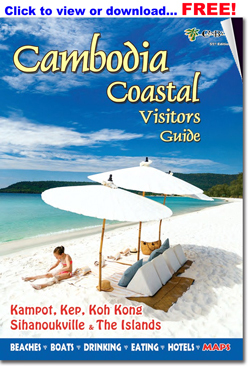 Public and tourist services are more basic and limited in Kep than in most provincial tourist destinations. Services are much more complete in nearby Kampot, 40 minutes away by tuk-tuk or taxi. Shopping is very limited, the hospital very basic, internet is available but there aren't any internet shops to speak of. There are now several little convenience stores around Kep, including a few next to the bus station at Kep Beach, one at the Rabbit Island boat dock and another at the Vishnu Statue intersection. Offering a surprisingly extensive selection of high quality Cambodian art, antiques, statues, carvings and much more. Located at Veranda Natural Resort. Wide range of souvenir items, clothes, handbags, silk scarves, bathing suits, accessories, silver jewelry and ornaments, pharmaceutical products, antique sculpture and furniture, groceries, frozen goods, and wine and liquor. The Kep Beach intersection is the place to find all of the traveler’s essentials - tour/travel agents, laundry, motorcycle and bicycle rental, a pharmacy, an ATM and the bus station, as well as a few inexpensive guesthouses, plenty of places to eat. Most of the hotels and a few restaurants offer free WiFi, and if you don’t have a device most of the travel/tour agents offer internet access. The main hospital in Kep in located on Road 33A (the main road) at the corner of Street 2320. Facilities are rudimentary. 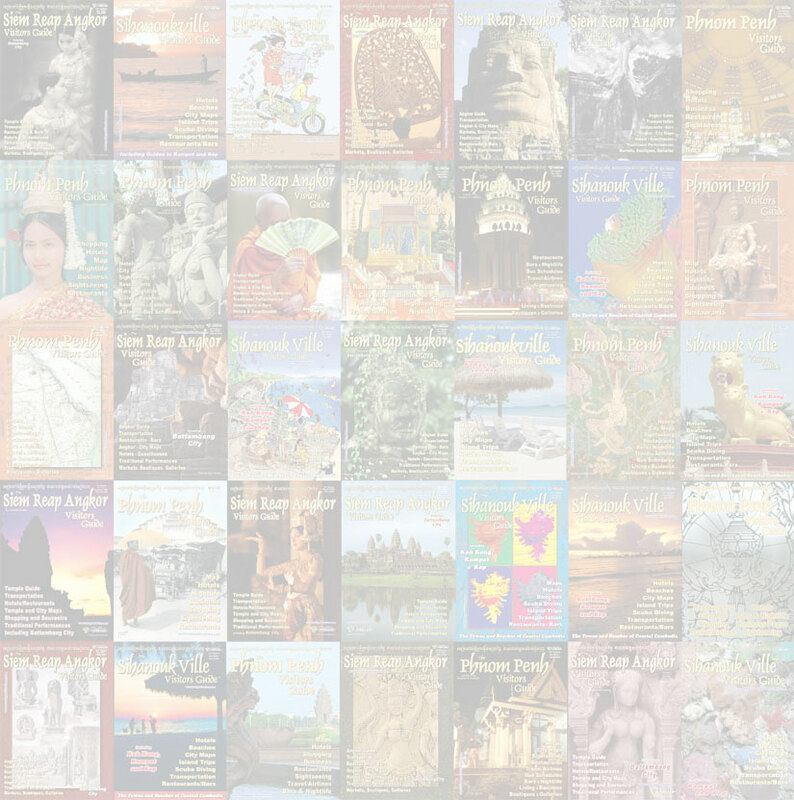 There are better facilities in nearby Kampot (see page 96) and in Phnom Penh.